Devices are shipped pre-registered to your account. Check this box if you are buying this device as a gift, or otherwise do not want your device to ship pre-registered to your account. When the device arrives, register to an Amazon account. Can this item ship to your country or region? To ship this product outside the U.S., please select your country or region of use and read the specific information for that location. Content shown is not available in all countries or regions. Ships from and sold by Amazon Digital Services LLC in easy-to-open packaging. Gift-wrap available. 5.0 out of 5 starsHad to replace my Paperwhite, very happy I went with the Voyage. My Paperwhite that I had for a little over 3 years finally threw in the towel and had to be replaced (I read about 2 hours a day on average so I got good use out of it). I decided to go with the Voyage as I like the auto-brightness and higher pixel density. 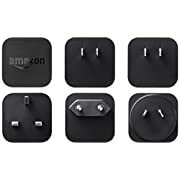 In all it took 5 days between when I placed the order and when I had the device in my hands (I'm an international customer), so props to Amazon for being so well organised. The device itself is quite a nice improvement over the Paperwhite. One can definitely see the difference in pixel density, text and images are both much sharper. The device feels lighter, and I'm getting used to the page buttons again after not having them since my Kindle keyboard which I had before the Paperwhite. I really like the auto brightness too, sometimes I do find myself tweaking it a bit, but on the whole I just let it do its own thing. I read on my balcony in the mornings, then on the bus to work, on the bus home and in bed, so lots of changing light conditions and it's nice not to have to adjust it so much. I'm really happy with this device. The Paperwhite is a damn fine reader too and I wouldn't have replaced it with this had it not broken, but if you're looking for a new e-reader anyway the extra stuff on this is well worth the extra cost. 5.0 out of 5 starsI love my Kindle! I used to have the old version then I bought this one and the improvements are amazing...it has a built in light with autocorrect level of brightness that makes it easy to read from it anywhere. I also love the size, u can hold it in one hand so easily . I'm addicted to reading from my kindle ! I bought the first Paperwhite when it released but sold it soon since I was not happy with the way how the screen was illuminated. I thought that the 2nd or 3rd update will be much better - so I decided to wait. And when the Voyager came out I decided to give it a try instead of buying the "normal" new generation paperwhite. I am not disappointed, it really works as advertised. I think it was worth for waiting, thanks a lot! 1.0 out of 5 starsYeah, Too Yellow Screen!! Believe your own eyes and judgement! Not the hype or overclaim the promotion! I just returned a Kindle Voyage received today, and asked for a replacement, because shockingly it has a very yellow screen, with yellow lighting unevenly spread out over the screen. 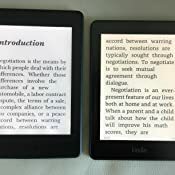 I compared it with my Kindle Paperwhite Gen 2, which is even more white and sharp screen than the Voyage by which is far more expensive (see Attached Photo!). 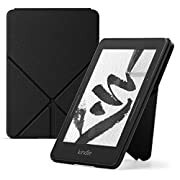 Recently I also ordered a Kindle Oasis for myself, another one previously ordered for my son as a gift. While the quality of my Son's Oasis is "luckily" great (very white and sharp screen), the one I received was terribly yellow, with several black dots on the screen. I returned it and reordered again, same problem and actually even worst--the screen very yellow, simply I could not justify such a high price and premium product claim with a sloppy product. Really not sure why voted by "Oprah's favourite things" as one of her favourites. Customers must judge by their own eyes and not swayed easily by promotional claim! When you Google search more about the overall criticisms of Oasis especially, you may have more objective opinion about it, since many including myself experienced the same poor product quality experience. 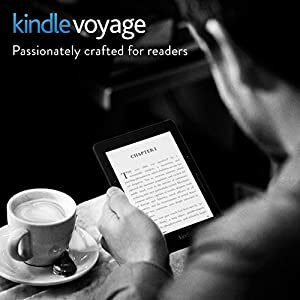 After returned Kindle Oasis twice, I tried to order Kindle Voyage to move to another option, hoping for a better white and sharp screen, if not extremely better than the Oasis (by which it claims to be very white and sharp screen), at least it should beat my Kindle Paperwhite Gen 2. Not the case, actually, so I just requested for a replacement. 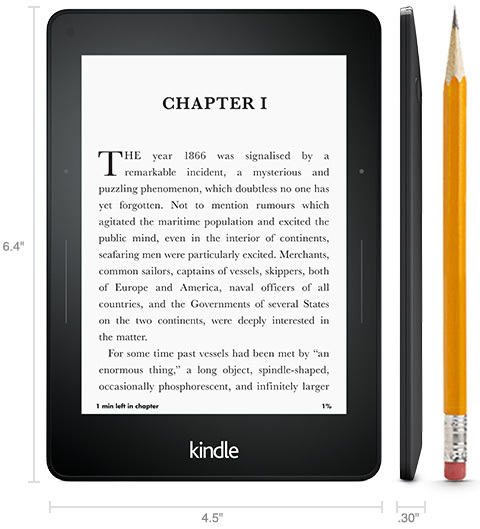 The CS of Kindle Team assured me that they will send me a truly white and sharp screen one this time. But I don't have high hope for that, since many wrote in the reviews that even replacements got the same problems again. 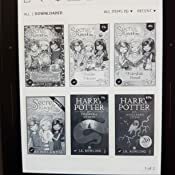 With her amazingly great and kind service, I agreed and hope that they will deliver what they promised because this is the third time I experienced Kindle's poor quality problems, both with their 2 top lines. Now I am really concerned about Kindle's quality and start to lose trust and confidence about their QC. How can such a customer-centric company on earth sends sloppy, non-QC products to customers like this, while commanding such high prices. 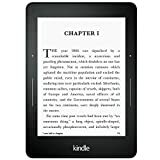 While Amazon should not spend so much time on just raising Kindles' prices to premium levels, they should be more concerned about truly raising quality standards to premium levels to justify the outrageous prices they command. I recently bought Kobo Aura One too, bigger screen size. Yes, they are not good with their PDF reading and highlighting features, but I must say it is a very good ereader option, apart from Kindle. But their ebooks are of less choices and far overpriced than Amazon's, which are certainly the trade-offs and downsides. 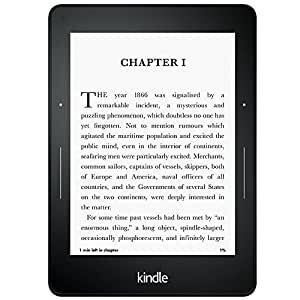 But at least, another great choice beyond Amazon nowadays, since Amazon focuses more and more on raising prices of their Kindles rather than taking good care of their quality like in their past. I've had my Kindle Keyboard for 6 years and needed to replace, so I decided to go for the Kindle Voyage. Loving it so far just finding the library a little more challenging to navigate...but that's because I have a lot of books to organize and sort into collections....battery life has been great...the backlight that is adjustable pure heaven... I needed to get a cover for the Voyage because it was so light, especially compared to the Kindle Keyboard, I forgot that I was holding on to it. Definitely worth it. This is my third Kindle and I purchased it because of smaller weight and size particularly for a travel packed handbag.I like the size of the voyage and the ease of removing the practical cover.The back lighting is comfortable after personal adjustment, unfortunely I find my hand is uncomfortable after reading and I may revert to using my previous four year old paperwhite because of this. The Oasis may have been the better choice but as I had no access to the physical Voyage or Oasis chose purely on size and weight. I will continue to use a Kindle device as my e reader.